This might sound like a big statement but not when you have WEBIZ by your side. We have earned the spot of being the best web design company in Calgary and our international clients think quite the same. This is so because every time we design a website we create something new. While your competitors stick to old formulas and look like millions of other websites, your website will outshine everyone. We can dare to say so because we have such a strong belief in our website designing skills, and we have professionals to back up this claim. If a web design company claims to make your website attractive and good looking, you are in the wrong place. Website design is about looks and attractiveness only up to a very limited degree. The main idea behind website design is to create an “experience” for your visitors. At the same time, it’s the job of your web development company to maintain consistent business and brand identity throughout the design. The design should be SEO friendly, user friendly and business friendly. WEBIZ works with all those areas of website design and search engine optimization services so we can promise you proven results. Most business owners would imagine the look of their websites on a big screen and that’s where they make a mistake. A sly website designing company will soon take advantage of your way of thinking. We urge you to think in future when considering your website design. At WEBIZ we like to create futuristic website designs. 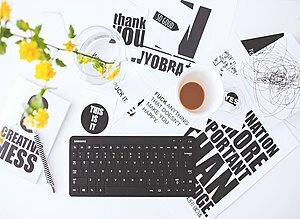 By futuristic we mean web designing that’s done not only for personal computers and laptops but millions of mobile devices floating in the global electronics market today. In short, we create mobile websites and responsive website designs for your business to excel everywhere and anywhere. WEBIZ professionals will take your vision, blend it with our experience and website development skills and create a website that will leave your competitors scratching. We promise to create an appealing, smooth and memorable website design that makes your website visitors and customers loyal to your brand.